A portion of a blighted north Chandler corner, where a movie theater and grocery store once operated, will see new life with the construction of a new apartment community. City officials are advancing a zoning change that will allow the construction on a 15-acre parcel at the northeast corner of Warner road and Grace Boulevard, just west of Arizona Avenue. 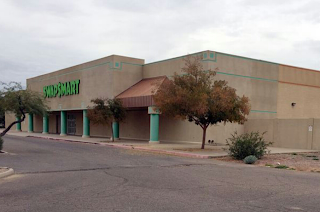 The property once was home to a Food 4 Less store that later became a swap mart. A movie theater once was tucked further back on the site. A self-serve car wash is at the south end of the property.